We have economically priced tile in our studio which is featured in our Builders Program room all the way to high end water jet collections and gemstones for our more customized clients. I am an Interior Designer and work on many custom building projects. 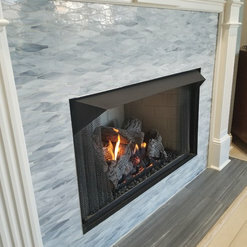 With the amazing selection at Carolina Tile and Stone, I am always sure my clients project will be unique and specific to their personal style. Their installers and showroom designers are the best. Thank you Wendy! It's always a joy to work with you and we appreciate your kind words. I am currently building a house and of ALL the tile companies I have been to they carry the BEST products. There tile is very current and up to date. They have the mosaic tiles everyone is wanting on Houzz. You know what I mean. The black and white mosaic everyone is going crazy for. Plus it is family owned and operated. They are so great to work with. Paulina is simply charming as well as beautiful and her dad is so enthusiastic and knowledgeable. If I could bottle up his energy I would make a fortune. Seriously though. This is by far the best selection of tiles in one spot. I would highly suggest checking them out. Especially, if you are looking for that one of a kind tile. Jennifer, you're the sweetest! Thank you for being such a great client to work with! 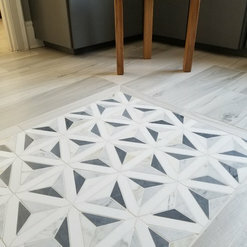 Carolina Tile & Stone is my favorite tile store in Lake Norman and as a professional interior designer, has the best selection of designer tiles to offer to my clients. Les and his team are always attentive, easy to work with and very friendly. I would highly recommend going to Carolina Tile & Stone if you're remodeling or building a new home. Thank you Amy! We appreciate your business and always look forward to it. 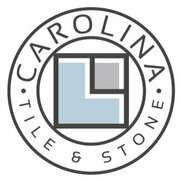 Carolina Tile & Stone is a family run business that delivers awesome customer service & the best product selection I have ever come across. Whether your taste is traditional to transitional to modern you will find what you need here! Thank you very much Kari. We always love working with you! I have been involved in multiple projects over the years with Les and his team. We are very pleased with the quality of their work and level of service they provide. Thank you Tripp, it's always a pleasure to work with you. 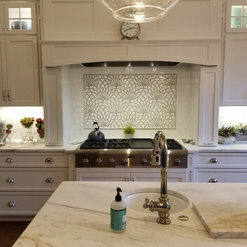 Commented: backsplashThis backsplash was purchased in our showroom and is the Sinuous waterjet pattern. Calacatta Gold is used in this one but it also comes in Thassos, Crema Marfil. &amp; Ming Green.